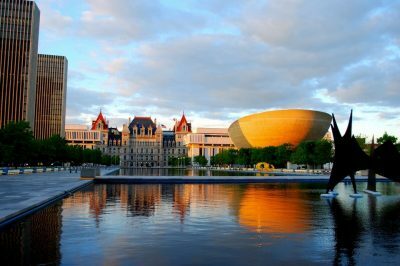 According to a newly-filed analysis, the state of New York saw a sharp increase in its gaming revenue due thanks to three new casinos’ opening in 2017. On the other hand, the new casinos in the state are now blamed for hurting the competition in the region’s gambling market which has already been pretty much crowded. Moody’s Investors Services has provided a new analysis focused on the state’s gambling revenue and the effects of the recent establishment of the three new casinos over the region’s gambling sector as a whole. The report, called “Cannibalization of gaming revenue continues in the Northeast”, the credit rating agency blamed for the decline registered in the Saratoga Casino Hotel’s revenue. 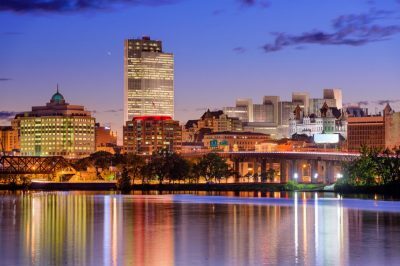 It is important to note that the analysis of Moody’s Investors Services does not deny the positive effect that the opening of the Rivers Casino & resort in Schenectady as well as the establishment of a second casino in the central part of the state had on the New York’s overall gaming revenues. However, the report has blamed the casino expansion for the revenue decline registered by the Saratoga Casino Hotel. The state’s gaming revenues have increased by over 30% after the opening of the three casinos. However, the Saratoga Casino Hotel, which is the closest rival of the Rivers Casino & Resort, registered a massive decline in its revenue. Its revenue dropped by 14%, which is a lot smaller than the initial expectations of a 40% decline, but still reflects a serious blow for the casino. The report pretty much reflects the projections made by the opponents of the state’s efforts to make casino gambling more popular. The critics of this policy have previously made a forecast for what was expected to happen in case that the state of New York expanded its casino market. The three new casinos have been established within a period of 12 months. Apart from them, New York also features eight video lottery casinos, all of which have been established over the last decade and a half, making the casino gambling market of the state pretty densely populated. Before that, horse racing and games of chance provided by non-profit organizations were the only two forms of gambling which were legal under state’s laws until 2001, except for the tribal casinos. The opening of Rivers’ was preceded by Del Lago Resort Casino establishment, with the latter failing to reach the initial revenue projections. Rivers Casino & Resort also fell short of its revenue expectations which it had provided to the county and city leaders. Resorts World, which was set to officially open in March, has recently revealed plans to open earlier than expected, at the beginning of February. According to the report, the trend in which newly-opened casinos slash the revenue of the already existing ones, is not consistent with the trends that have been registered throughout the gaming markets of the US, and especially the ones in the North Eastern part of the country. The analysts projected that this is very likely to continue in the eastern part of New York state, as another big player – Resorts World Catskills – is set to soon open.